Northwestern Chinese International Student Association (CISA) hosted its first Spring Festival Gala on Feb. 9 to celebrate Chinese Year of the Pig. More than 250 students gathered in the Ryan Family Auditorium for a variety of performances. Tony Zhou, president of CISA, said that the goal of the gala was to give Northwestern Chinese students a feel of home. The gala lasted for about three hours and featured musical, dance and comedy performances, with student groups such as Treblemakers, Refresh Dance Crew and K-Dance. 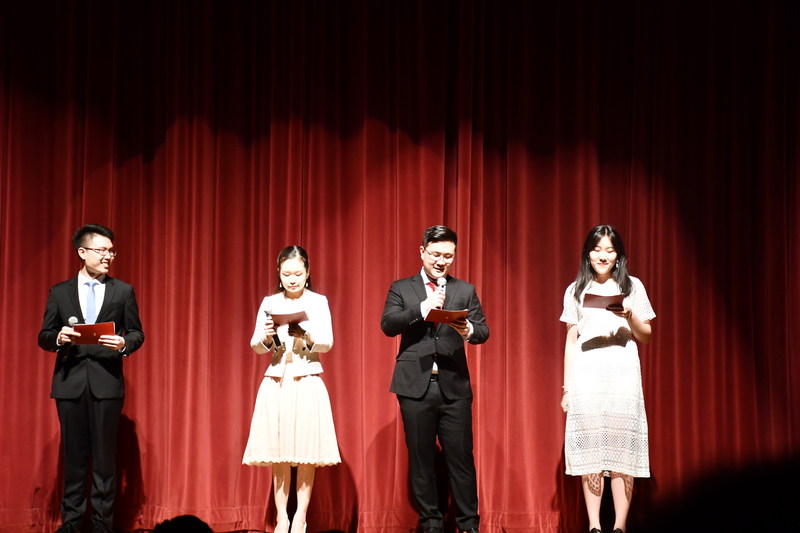 McCormick sophomore Siyuan Chai participated in a Chinese comedy “Journey to Northwestern” that arose big waves of laughter from the audience. Adapted from the famous Chinese novel “Journey to the West”, the comedy featured Chinese students in Northwestern as well as their difficulties with school work, relationships and a different cultural environment. Chai also said that the gala gave a sense of community to Chinese international students. Although he was busy with midterms and dues, Chai managed to wake up early to watch the CCTV Spring Festival Gala, a traditional Chinese New Year television event shown on New Year’s Eve, and sent messages to his friends and relatives in China. Like Chai, Communication junior Shuyuan Sheng also called her family on New Year’s Eve. Although it was her third year celebrating the Spring Festival at Northwestern, she still felt homesick. The gala attracted not only Chinese international students, but also other Northwestern students who wanted to experience the Lunar New Year. Some Chinese families living around the campus also brought their children to the gala to get a taste of Chinese culture. CISA started to plan for the gala since November last year. Zhou said that they met many difficulties during the preparation because it was their first time hosting such a big event, but every member of CISA devoted time to make the Spring Festival Gala possible. “I’m so proud to be a member of CISA,” Zhou said. “We started from zero, but we had more than 250 audiences and over 200 people watched our live show online tonight."